The demand within the global whole grain and high fiber foods market is expected to increase on account of key changes in the food consumption patterns of the masses. The past decade has witnessed a paradigm shift from conventional food consumption patterns to health-driven choices made by the masses. This trend has reflected in the global whole grain and high fiber foods market as this market experiences heavy demand from various population demographics. The high nutritional value of whole grain and high fiber foods has played a key role in earning the trust of the consumers, and the sapid taste of these foods has further popularised them. It is expected that the introduction of new products with high fiber content would emerge as a revolutionary factor pertaining to the growth of the global market for whole grain and high fiber foods in the years to come. Moreover, the marketing hacks adopted by the vendors to promote their products could also play an integral role in the growth of the global whole grain and high fiber foods market. The global whole grain and high fiber foods market can be segmented on the basis of the following parameters: type, source, and region. The aforementioned segments within the global whole grain and high fiber foods market shall be considered while gauging the growth dynamics of whole grain and high fiber foods market. A report on the global whole grain and high fiber foods market is a representation of multiple forces that have aided the growth of this market over the past decade. 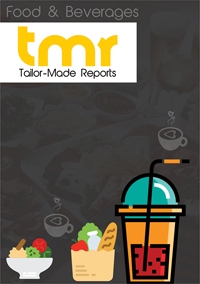 Furthermore, the report also predicts the trends that are prognosticated to define the scope of the global whole grain and high fiber foods market in the years to come. The wide portfolio of products that are made up of whole grain has given a push to the growth of the global whole grain and high fiber foods market in recent times. There is no contention about the fact that whole grain and high fiber foods have a high nutritional value, and can be consumed by all age groups. This healthy appeal and digestion-friendly nature of whole grain and high fiber foods is expected to take market demand to new heights. The bakery industry has emerged as a prominent consumer of whole grain and high fiber foods in recent times. Furthermore, the use of whole grain breads for making sandwiches and baguettes in the restaurant industry has also driven demand within the global whole grain and high fiber foods market. The use of whole wheat bread in food outlets and restaurants in the US has led to the growth of the global whole grain and high fiber foods market in North America. Furthermore, the advent of whole grain foods can be traced to back to the US, Mexico, and Canada which is another key driver of demand within the regional market. Some of the key players in the global whole grain and high fiber foods market are Cargill, Bob’s Red Mill, Grupo Bimbo, Aryzta, and Food for Life.